"Abraham Lincoln has said that the ‘leading rule for the lawyer . . . is diligence.’ I believe this to be true and apply this principle to every case I work." Roxanne focuses her practice on business litigation. 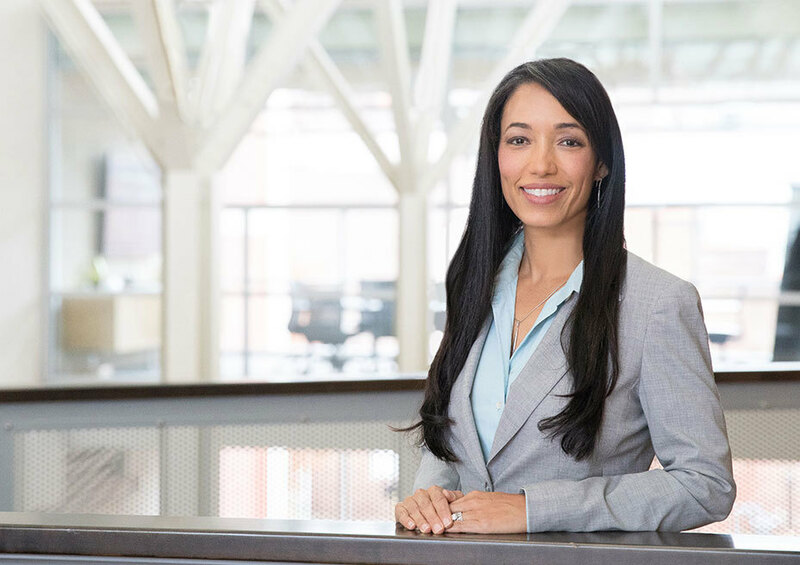 As a commercial litigator, she regularly handles cases before the federal and state trial courts of Virginia, Maryland and the District of Columbia. Roxanne’s litigation experience includes the management of teams of lawyers in fraud and discovery investigations involving large-scale electronically stored information (ESI). Her goal is to ensure that clients are offered sophisticated knowledge and support of their e-discovery needs. Prior to joining Hirschler Fleischer, Roxanne worked for Leach Travell and Draper & Goldberg, PLLC, where she handled bankruptcy matters focusing on creditor’s rights, commercial litigation, and foreclosures. She is a frequent speaker on courtroom technology and eDiscovery. Counseled a publicly traded company in a purchase price adjustment dispute arising under an asset purchase agreement. Prosecuted claim against publicly traded company for return of eight-figure deposit. Trained and managed attorneys and ESI review teams for large-scale litigation cases, including the development of protocols for document collection, objective coding, review and final document production; managed development and production of privilege logs. Handled and defended suits to enforce covenants against competition and internal disputes amongst employers/employees. Local counsel for commercial disputes in Virginia, Maryland and District of Columbia federal and state courts. Represented seller of an estate property in mediation and successfully resolved claims of the real estate agent for commissions. Roxanne took a two-year leave of absence from the firm to be with her family to live in the U.A.E. where her husband, a now retired Marine, was deployed. During that time she added to her family and now has two rambunctious toddlers to keep her busy when not at the office. She and her family are happy to be back in the Tysons area and enjoy the actual change of seasons! American University-Washington College of Law, J.D.